Confessions of a dance pants addict: What lies ahead? I couldn't resist posting this silly image! After spending my teenage and early 20 years being relatively skinny, I have really embraced the curves that I developed in adulthood. 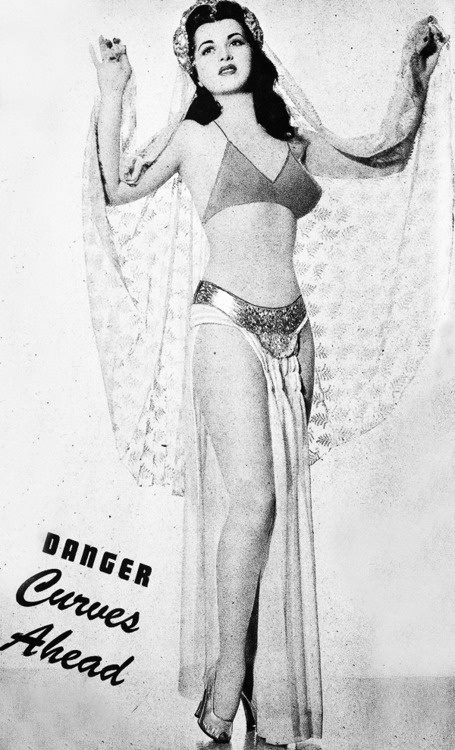 I don't look quite as good as this vintage lady, though! So here we are in 2013! To say that I'm excited is an understatement. I mean, after all, this is the year when I finally go to TRIBAL FEST and if all goes well, I'll also pop up to Vegas for a quick visit to the Intensive in September. I'm so happy to finally be able to travel to some of the larger belly dance events, and happy at the thought of all the long-distance friends I'll get to see, new-to-me teachers I'll study with, and oh yes, the shopping! I'm already saving up. After spending the end of 2012 laying the groundwork for being a semi-professional soloist (setting up a website, ordering business cards, investing in some nicer costumes), I am ready to start seeking a few paying gigs here and there. This is also the year when I will finally sit down with my sewing machine and learn what is what, and start sewing some costumes! I am already signed up for a costuming workshop with Dusty Paik of Snake Church. It was one of my must-haves for Tribal Fest. If my initial forays into costume construction go well, I may even look into taking some college classes on fashion design and garment construction. We'll see. I'm really looking forward to classes and troupe practice starting back up at the new studio. It sounds like we'll be getting some new troupe members, and we're working on a new choreography, and there are so many gigs coming up in January alone... 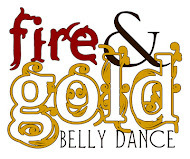 I LOVE being part of Fire & Gold Bellydance! We're always working on something awesome. I feel like 2013 is going to be the best year yet for me as a dancer, which is saying something because 2012 was pretty amazing, too. I've made so many new dance friends, progressed so much in my skills, and had some wonderful performance opportunities. 2012 gave me so much to work with to make the future even brighter.